Making UK Gardening Easier for over 25 Years! By comparison, the little red Mantis Tiller/Cultivator looked like a toy. It weighed in at just 20 pounds/9 kg, and you could easily pick it up with one hand to move it from garage to garden. But when you pulled the cord to start the petrol engine, the Mantis Tiller’s patented tines chewed up soil with amazing ease. Here was a piece of power equipment that actually delivered on its promises. It really did make gardening easier by taking the backbreaking strain out of tilling garden soil. Still, when the Mantis Tiller was first offered for sale in the UK in 1990, no one could have predicted how popular the world’s first mini-tiller would become. Initially, the Mantis Tiller was largely shunned by men (who, apparently, did not want to be seen operating a diminutive “20-pound/9 kg wonder”). But women and seniors wholeheartedly embraced the little tiller and made it a bestselling sensation. They loved the little red tiller because it was simple and easy to use and it did exactly what the product advertisers said it would: take much of the hard work out of the UK’s favourite leisure activity. The Little Tiller that does it all. For over 35 years and approaching two million units sold, the Mantis Tiller is still assembled in the original factory by a longstanding and dedicated workforce. In spite of its many imitators and there are quite a few mini tillers offered by other manufacturers the Mantis Tiller is still the best-selling tiller in the UK and the world. 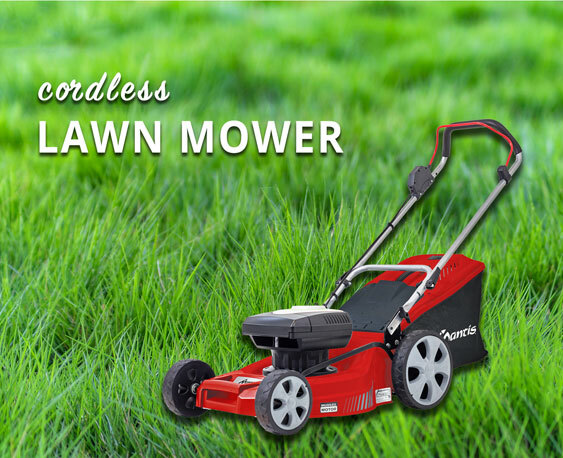 The Mantis Tiller’s high-quality craftsmanship and powerful commercial-grade engine consistently get rave reviews. 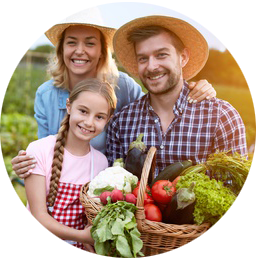 And gardeners are pleased with the handy way the Mantis Tiller tills garden plots and effortlessly weeds around trees and landscaping. 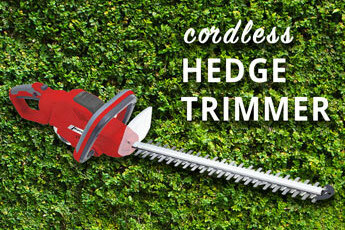 Like the proverbial Swiss Army knife, the mighty Mantis Tiller can effectively perform a wide variety of tasks. The tiller tines can easily be removed and many optional attachments can be quickly installed. These optional attachments convert the Mantis Tiller into a border edger, furrower, plough, lawn aerator, lawn dethatcher or crevice cleaner. 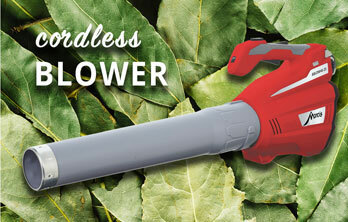 Thus, one Mantis Tiller and its attachments can do the work of eight different power tools. Over the years, the Mantis Tiller has received many impressive official awards, including the 2009 Grow Your Own magazine Award for the best small tiller. Back in 1989, after the Mantis Tiller had thoroughly conquered North America, the little tiller was test marketed in the UK. 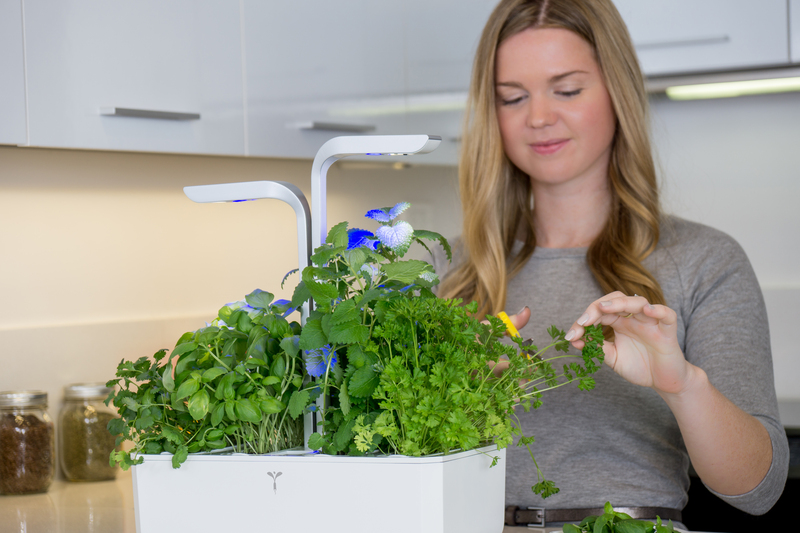 The UK company’s Managing Director at the time was spending some time with his friends in the USA, and saw his host using a small red machine to help with his gardening chores. He came back to the UK only to find he couldn’t buy the Mantis Tiller in the UK. Thus, he decided to import a few on his own to sell through his existing business. The result? UK gardeners embraced the little tiller in much the same way Americans had. Happy tiller owners in every state in the USA, every province in Canada, throughout the UK and Europe and around the world in countries such as South Africa, Israel and China are using their Mantis Tillers to cultivate soil, weed gardens, dig furrows, aerate and dethatch lawns, edge borders, dig holes for planting trees and shrubs, and even trim hedges. All with a little red tiller that many people laughed at when it was first introduced. It’s safe to say that no one is laughing at the little tiller now. Mantis Tiller Trivia: Why is it called a Mantis Tiller? Because the tiller handles resemble the shape of praying mantis arms, and the praying mantis is a beneficial insect in the garden. For over 40 years the ComposTumbler has made it easy for gardeners to have a steady supply of compost. 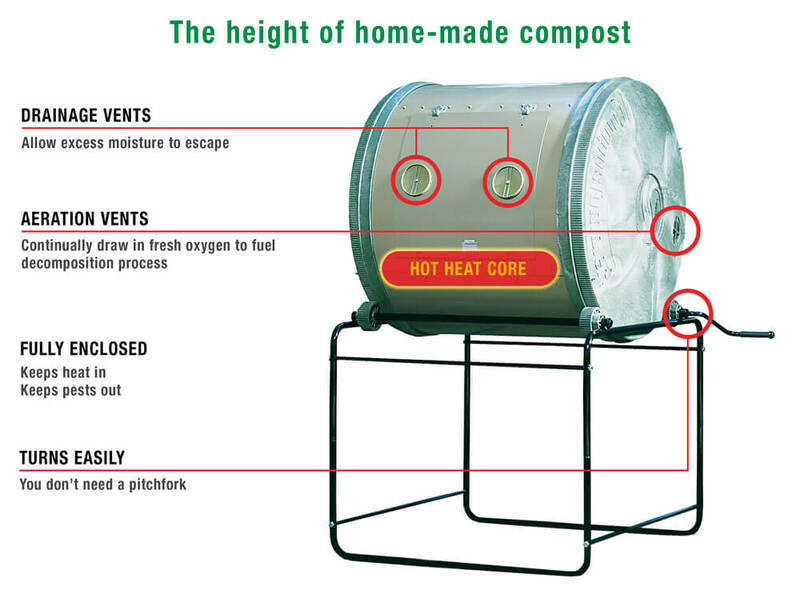 The ComposTumbler is the best-selling drum composter in the world. the drum to be the perfect shape and size to create fast decomposition of organic materials when turned daily. Since 1979 the ComposTumbler has been manufactured in the United States and is sold all over the world.